The human body never ceases to amaze us here at MariPharm! It is made up of a myriad of complex systems to help sustain life – from the respiratory, circulatory and digestive systems to the nervous, skeletal and muscular systems, to name but a few. One lesser known system, however, is the endocannabinoid system (ECS). The ECS helps stablise the body. It promotes an equilibrium between the body’s systems ensuring they work in harmony. It also helps to regulate mood, sleep, appetite, digestion, body temperature, bone density and moto control. How does the ECS work? We’re about to get technical here. The ECS is a complex network of cannabinoid receptors, which are present on the surface of cells in the central nervous system. Receptors respond to cannabinoids both naturally occurring in the body and those derived from the cannabis plant – hence their name. 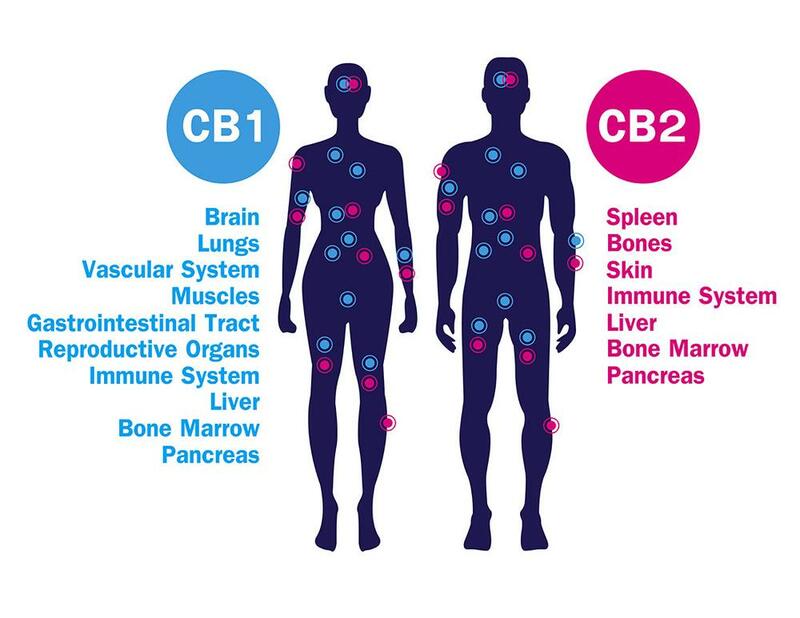 There are currently two identified cannabinoid receptors CB1 and CB2. CB1 receptors are located in the brain and central nervous system. 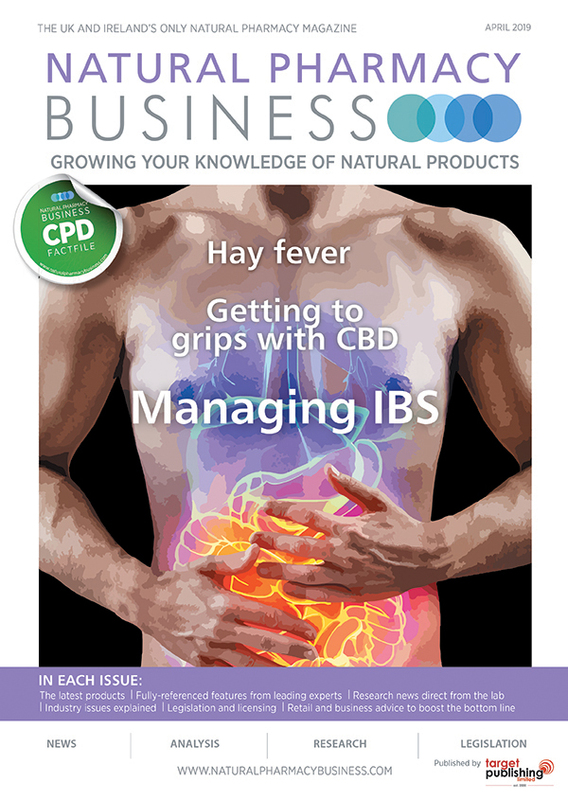 CB2 receptors are located in the peripheral nervous system (that is, outside the brain and spinal cord) and the immune system. Cannabinoids are neurotransmitters or messengers. Receptors receive the messages and send them on to the brain. The relationship between cannabinoids and receptors is often described as a lock and key; only certain cannabinoids and receptors interact to unlock a reaction in the brain. How does CBD oil affect the ECS? CBD (or Cannabidoil to give it its full name) is one of over 100 cannabinoids found in the cannabis plant. Unlike tetrahydrocannabinol (THC) – the compound found in cannabis that creates the “high” sensation – CBD is a non-psychoactive cannabinoid. When the Endocannabiniod System is damaged or not functioning properly, the body is no longer able to maintain a state of equilibrium and therefore susceptible to conditions associated with pain and impaired health. Therefore, as a cannabinoid, CBD has the ability to support and stimulate the ECS, in turn supporting its ability to maintain balance in the body. Whether taken as drops, a spray or even in topical form, CBD oil as a natural supplement is legal and safe to use to support a healthy lifestyle and diet. At MariPharm, we ensure our CBD oil products are of the highest quality. Our rigorous nine-step process and in-house as well as third-party testing give you – and us – confidence in your choice of CBD oil. Click here to find out more about the products on offer. With all supplements and vitamins, it is essential to consult your doctor before you decide to start taking them, particularly if you are already currently taking any medications.